They may be small but they are apparently delicious! 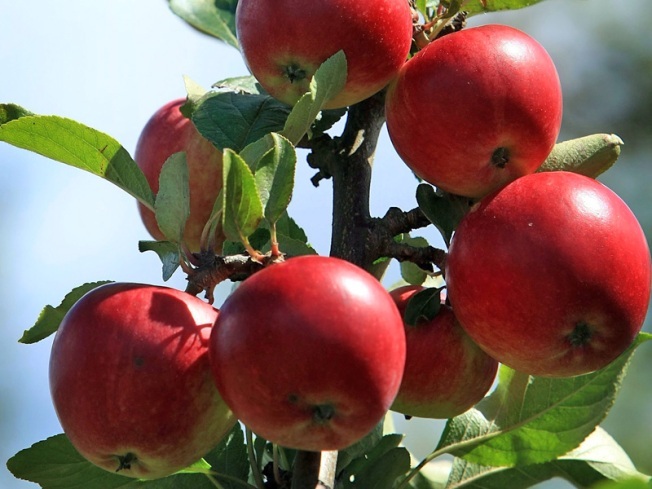 Growers said it's not just Virginia’s Red Delicious crop, but the Goldens, too, that, although smaller than usual, happen to be particularly tasty this year, the Daily News-Record reported. They’re blaming the size on the hot, dry summer. But don’t be fooled by the package. These little babies pack a walloping flavor. Virginia’s apple harvest usually runs from September through early November. The Golden and Red Delicious apples are being picked now. Heat and drought conditions are known to stress out fruit trees, causing them to drop their crop early. Growers are expecting an early local harvest for other varieties like Fugi, Granny Smith and Stayman. Virginia, the country’s sixth-largest apple-growing state, is predicted to produce about 20 percent fewer apples than last year’s six million bushels. Get ‘em early this year and enjoy them while you can. And since they may be small, it could take a couple a day to keep the doctor away.